In 1587, 115 men, women, and children arrived on Roanoke, an island off the coast of North Carolina. Chartered by Queen Elizabeth I, their colony was to establish a foothold for England in the New World. But by the time the colony's leader, John White, returned to Roanoke from a resupply mission in England, his settlers were nowhere to be found. They had vanished into the wilderness, leaving behind only a single clue--the word "Croatoan" carved into a tree. The disappearance of the Lost Colony became an enduring American mystery. For four centuries, it has gone unsolved, obsessing countless historians, archeologists, and amateur sleuths. Today, after centuries of searching in vain, new clues have begun to surface. 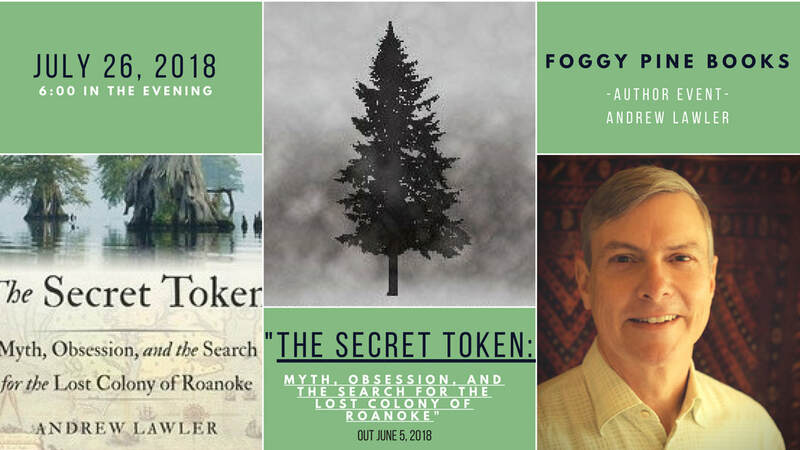 In The Secret Token, Andrew Lawler offers a beguiling history of the Lost Colony, and of the relentless quest to bring its fate to light. He accompanies competing archeologists as they seek out evidence, each team hoping to be the first to solve the riddle. In the course of his journey, Lawler explores how the Lost Colony came to haunt our national consciousness, working its way into literature, popular culture, and politics. 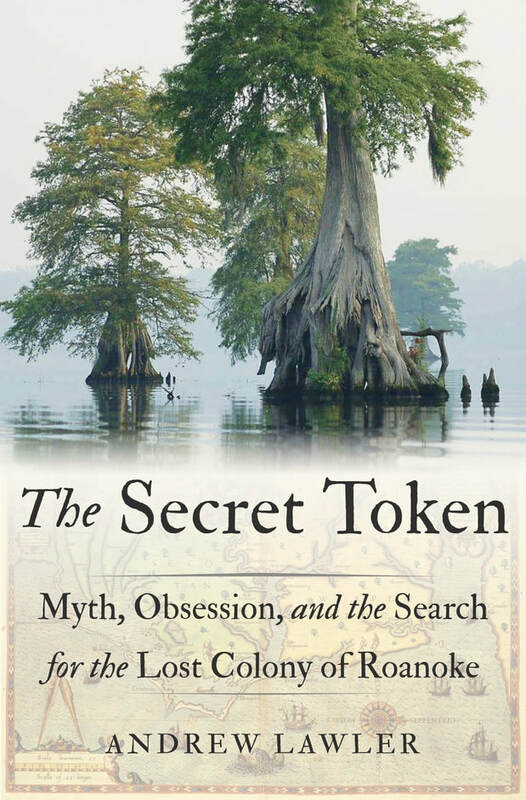 Incisive and absorbing, The Secret Token offers a new understanding not just of the Lost Colony, but of how its absence continues to define--and divide--America. The list price is $29.95 but we do 10% off special orders! So your total price after taxes and the discount is $28.78. If you would like to have your book shipped to you, there is a $3.17 shipping charge per book. If you would like a signed copy of the book shipped to you, please keep in mind that we will not be able to send your book until after our event with Lawler on July 26th. If you are having your book shipped there is an option for (#) Book w/ Shipping.